The word “amazing” doesn’t even begin to describe Kuroko’s Basketball, in fact, that word is selling it short. 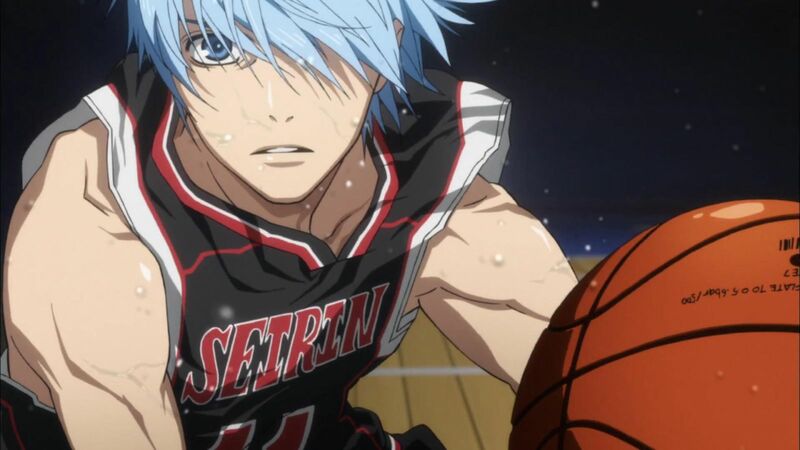 I have never felt the urge to play basketball so badly until I watched this anime. Imagine a Shōnen sports series with the intensity of Dragon Ball Z combined with competitive sport of basketball. The result is Tadatoshi Fujimaki’s Kuroko’s Basketball, a tale of an underdog team’s rise to glory. We later find ourselves at Seirin High, a rather new private school in the midst of its club recruiting festival. The basketball team is looking to expand their numbers for this year’s tournament and was able to recruit two freshmen. The new recruits are our leading protagonists Taiga Kagami and Tetsuya Kuroko. Immediately the anime keeps you drawn in with a smooth transition from the ballad of the Generation of Miracles to a hilarious introduction of Kagami and Kuroko. The funny thing is, Taiga is an incredibly large freshman for his age and like his namesake, he’s fierce. His very presence terrified his peers when he demanded a spot on the basketball team. Kuroko on the other hand, despite being behind Kagami the entire time and signing up to join the team, isn’t even noticed. After a few humorous encounters involving the “invisible” Kuroko, we meet the team in its entirety with the addition of our heroes and learn of their ambition to become the best team in Japan despite their small numbers. I mentioned before that this series has the intensity of Dragon Ball Z and when you decide to indulge yourself in this series, you’ll definitely find out why. Some of the plays in this series are downright inhuman! The basketball games are also absolutely extraordinary! Each player of the Seirin team possesses a unique skill that contributes to the team’s strategy. It is later revealed in the early episodes (the first one actually) that Kuroko is the “sixth” man of the Generation of Miracles. 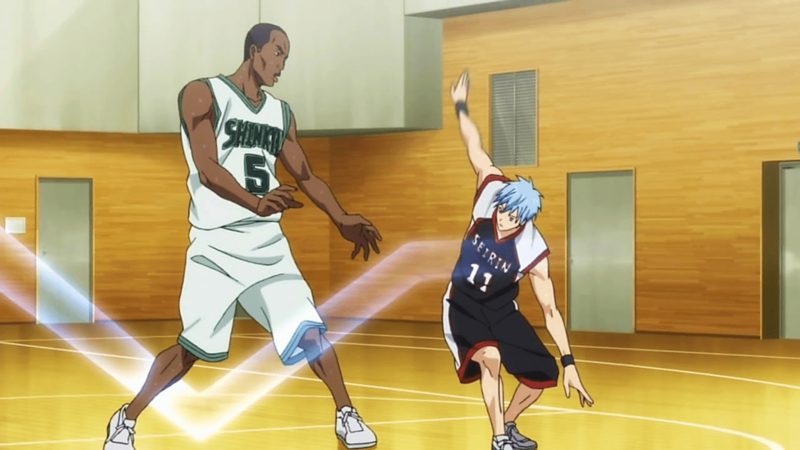 Kuroko specializes in passing and misdirection to make up for his lack of athletic ability. In DBZ terms the characters have power levels, but in Kuroko’s Basketball, power levels are referred to as “presence.” The more intense your game is and the more you handle the ball establishes your presence on the court. Kuroko’s lack of presence makes him capable of stealing passes and make plays due to his “invisibility.” The way the staff of Production I.G portrays this is absolutely brilliant. Especially the way they display how Kuroko and Kagami make plays from each other. It’s something as simple as a pass, but it’s how he passes and the way Kagami follows up. This anime despite being a Shōnen series applies tactics for our players instead of the typical “roll with the punches” archetypes. As the series progresses, Seirin’s drive to be the best unites them on a long, arduous journey against Kuroko’s former teammates, the Generation of Miracles. Kuroko is our leading mysterious protagonist. I’d say he falls under the kuudere category due to his lack of expression and emotion (sometimes used for comedy!) but that doesn’t stop him from speaking his mind. He’s very blunt with no filter and appears to be your textbook average guy, but despite the “normal” impression he gives, he’s a formidable basketball player that even the great Generation of Miracles have graced him with respect. 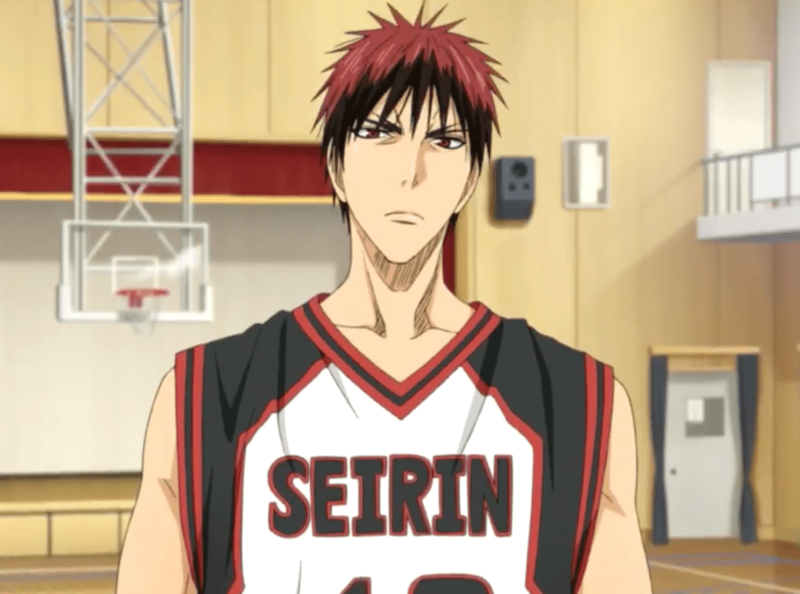 Kagami is a fiery redheaded freshman who returned to Japan after learning basketball in America. He’s both competitive and confrontational, sometimes to a fault. Deep down he’s a good guy despite all the barriers he leaves up, but he has a love for the game and the camaraderie he has with his team. Kagami decides to work with Kuroko to surpass the Generation of Miracles and bring Seirin High to the top. Kuroko’s Basketball has a vast intriguing cast of characters that keep you enthralled with the series because of the individual motivations they have and how they come together as a team. To put it simply, it’s a sports series with a lot of action and a lot of heart. Kuroko’s Basketball has been around since 2012 and it’s still running strong. The art style alone is unique to bring out the individuality of the characters, but still portray them as part of the team. One of the most enjoyable eye-catching moments are the special effects incorporated with the team plays. Kuroko’s plays piqued my interest because of the way he passes the ball. It could be from over his head, behind him, or even through the legs of an opposing player, but each pass he made left a blue streak that showed the trajectory of his pass. It’s not just showing Kuroko passing, it’s showing where the ball is going. The animation is superb right down to dunking. And if that’s not enough to get you hyped, the soundtrack will definitely get you fired up when Seirin High struggles and overcomes powerful teams! If you haven’t seen Kuroko’s Basketball you should! It’s an ongoing series on its third season with a compelling story of underdogs sticking together against unspeakable odds. It’s packed with action worthy of its Shōnen demographic and humor to keep you laughing when you need to. It’s 9 out of 10 in my book. You should definitely check it out! If you’ve already got Kuroko’s Basketball under your belt and looking for another great sports anime to check out, feel free to watch The Prince of Tennis! Do you agree with my review? Is there a series you’d like me to review? Drop a line with all your comments, thoughts, and suggestions to StephenR@theouterhaven.net! Should you watch Kuroko's Basketball? 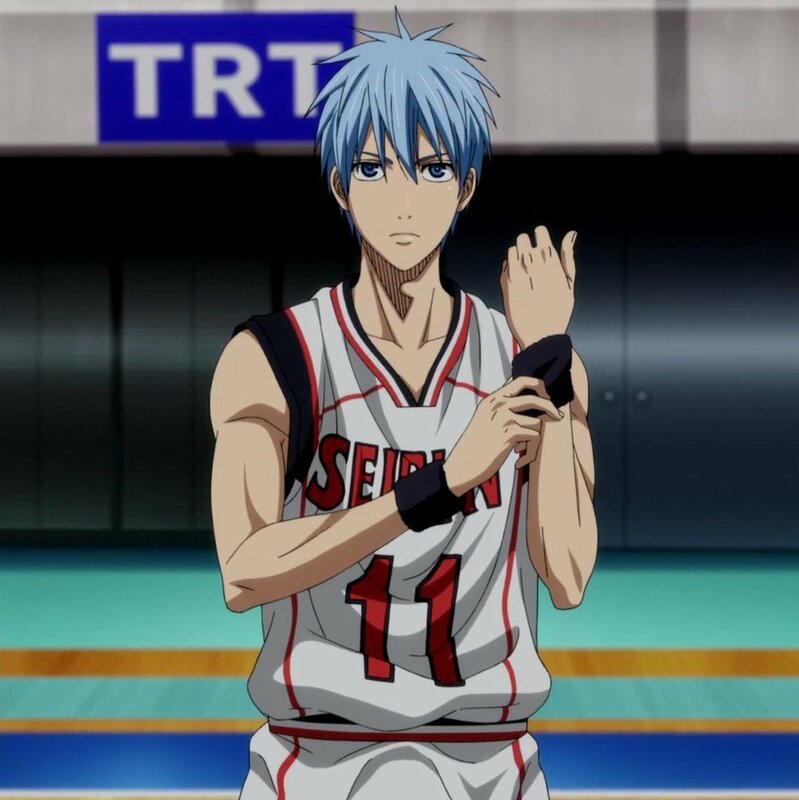 Learn more about the basketball which Kuroko plays in this action packed laughfest. I guarantee you’ll enjoy it!